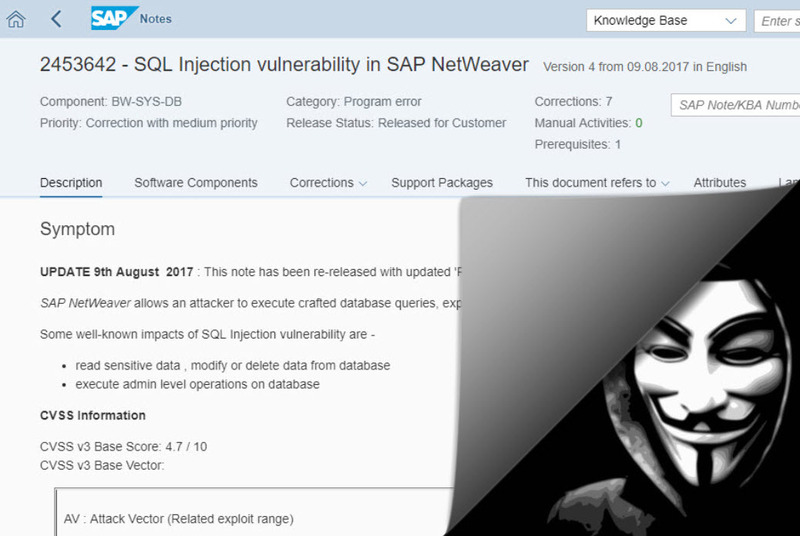 In most cases SAP Security Notes contain fixes for vulnerabilities. By analysing such a fix, it is possible to discover the specific related vulnerability. And by examination of the vulnerability, it becomes possible to create an exploit for it. Within the software industry, this is an unfortunate fact of life. By bringing out a fix for an explicit vulnerability in your software, anyone can analyse the fix and subsequently exploit the vulnerability. This implies that SAP customers should apply security fixes as fast as possible to minimise the risk of exploitation. 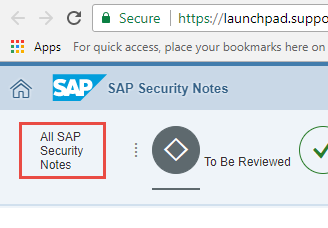 https://launchpad.support.sap.com/#/securitynotes (OSS User ID is needed for access). The line containing the Release keyword shows you for which component versions this OSS Note is applicable. 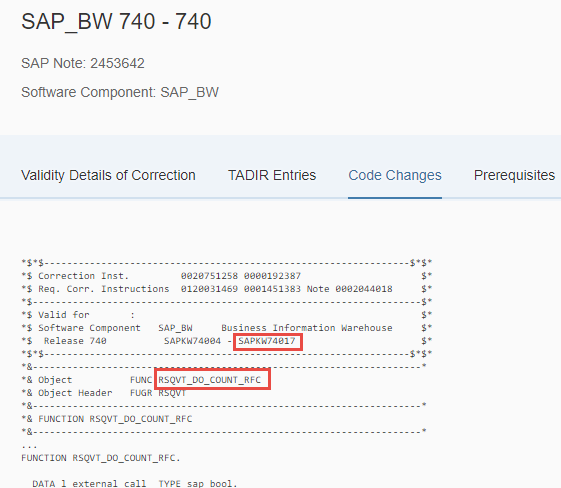 In this case SAPKW74017 is mentioned, so this fix is present in support package 18 of component SAP_BW for version 740. In all unpatched versions having a lower support package version, this specific vulnerability is present. The conclusion is that this function allows for arbitrary SQL to be executed remotely (or via an RFC destination with a filled-in UserID & password), and after testing we found that this is indeed the case. 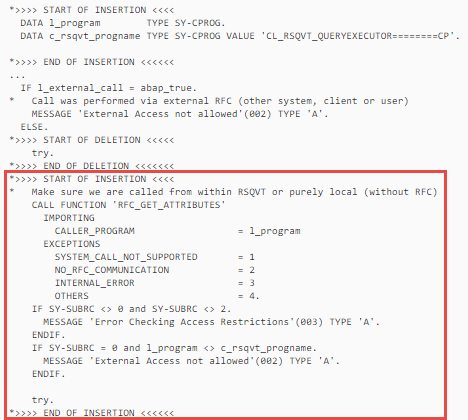 The function RSQVT_DO_COUNT_RFC can be executed remotely via any existing RFC destination that contains a valid SAP user ID and password. This may lead to complete system ownership. Strangely enough, SAP has marked this vulnerability with a CVSS score of only 4,7 (which corresponds with a Low Risk vulnerability), while in fact it should have been much higher. The only remedy against exploits like these is to patch your SAP systems and apply the security notes as soon as possible. 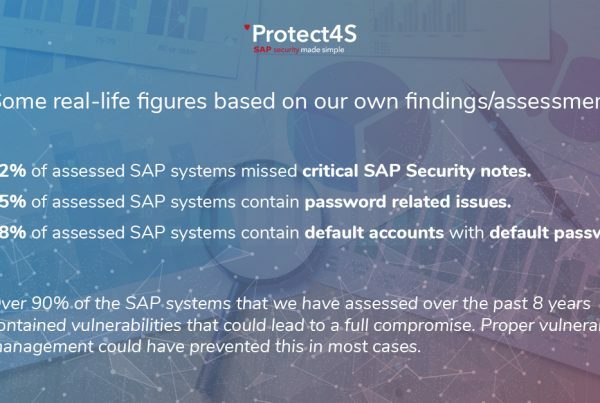 Our product Protect4S can apply up to 70% of SAP Security Notes fully automated (real patching), month after month, saving real money while keeping SAP systems safe. 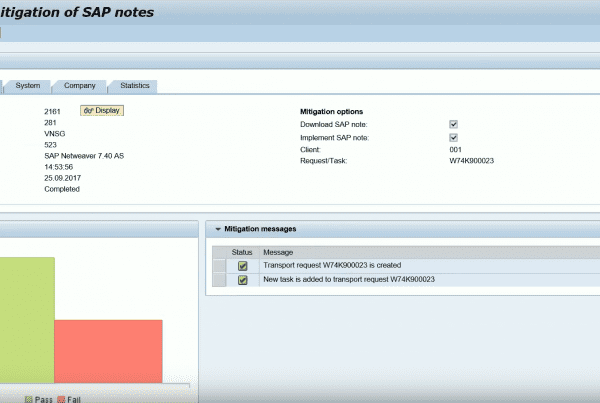 Get our SAP Solution Manager AddOn Protect4S and stay in control of the risks from vulnerabilities inside your SAP infrastructure.